A Mid-Western USA utility company was interested in retrofitting their diesel generators for compliance with the 2013 RICE NESHAP rule set by the United States EPA. These are the Reciprocating Internal Combustion Engine National Emission Standards for Hazardous Air Pollutants. The first engine for retrofit was a 3500 hp Fairbanks Morse, 2-cycle diesel. 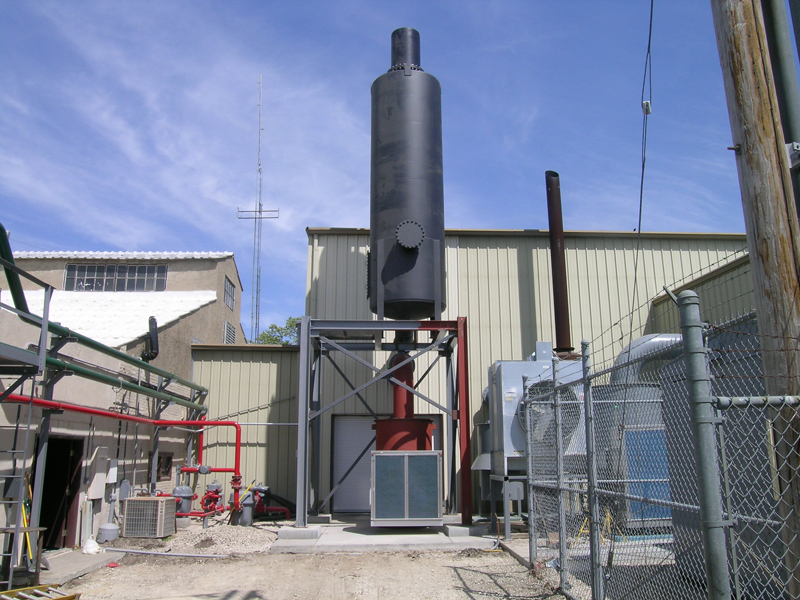 The existing silencer was on a platform and engineered to site-specific standards for structural load, back-pressure and sound attenuation. 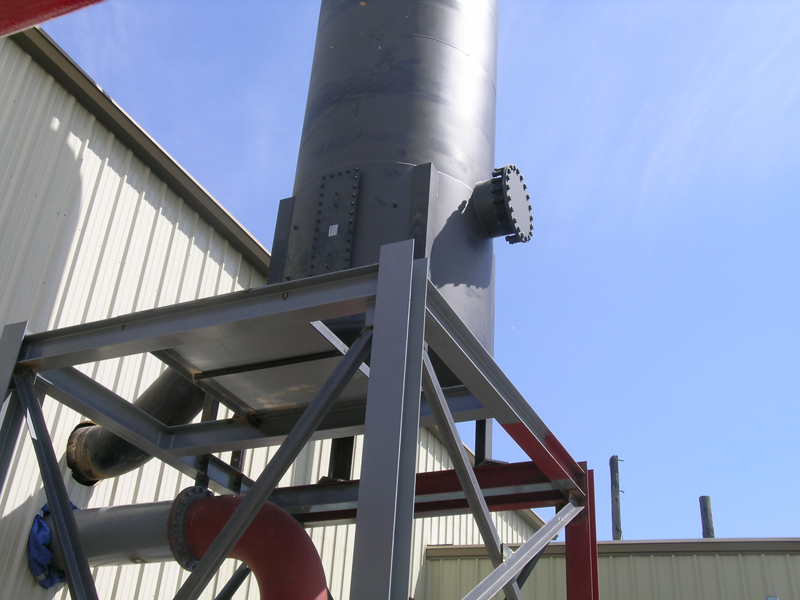 DCL designed an oxidation catalytic silencer to fit the existing mounting points and to meet the site specifications for wind and structural loads. The new catalytic silencer fit directly onto the same mounting points and envelope of the old silencer, eliminating the need for site modifications and minimizing project costs. The new catalytic silencer equaled the sound attenuation and pressure drop of the old silencer, while achieving RICE NESHAP standards for emissions.